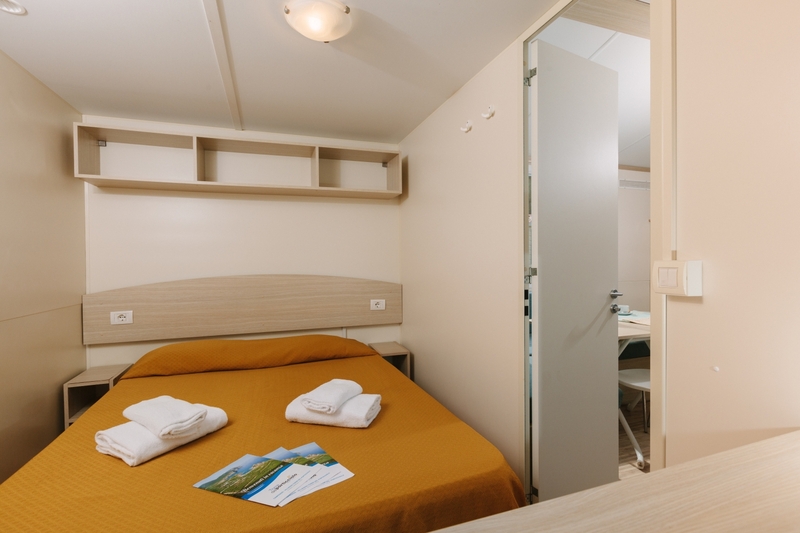 The Mobile Homes Torre Comfort are located in a private area of the Village, surrounded by greenery and a few meters from the sea front.e doors. 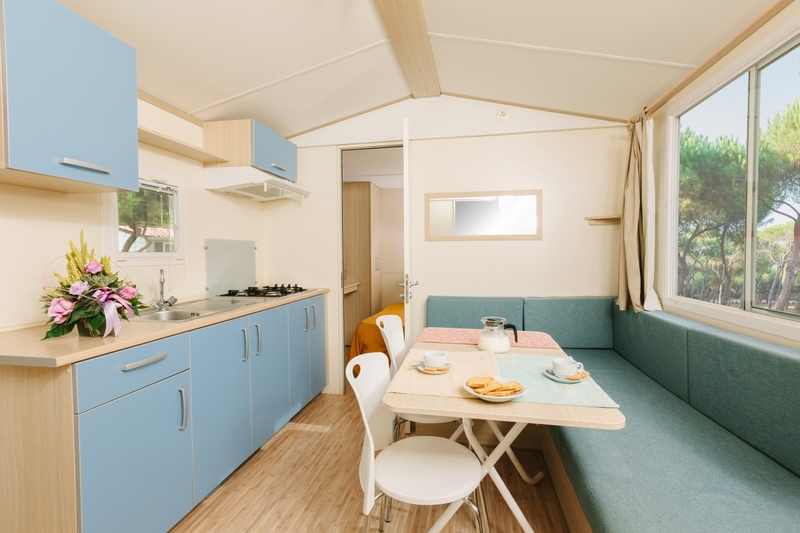 The Torre Comfort Mobile Homes, 8m x 3m, have two bedrooms (one double and one twin), day area with sofa bed, cooking area with fridge and sink, private bathroom with hot water and shower cubicle, outside veranda with table, chairs, sun umbrella and two plastic sunbeds. The supplementary charge for cleaning on departure is compulsory for all customers staying in the village. 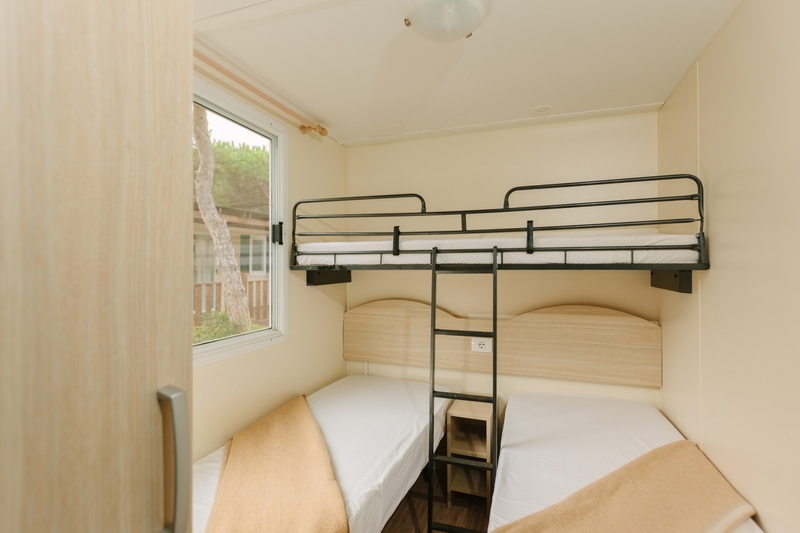 The charge is € 10.00 per night, up to a maximum of 7 nights. NB the kitchenette should be left clean by the customer, otherwise a penalty charge of € 40.00 will be applied. OBLIGATORY SERVICES BY PAYMENT: From 1st/05 to 30th/06 and from 1st/09 to 30th/09 children under three years of age are free of charge (this offer only applies to the accommodation and not the restaurant service). From 1st/07 to 31st/08 cot hire is obligatory at a rate of € 7 per day. Cot bedding is not supplied. 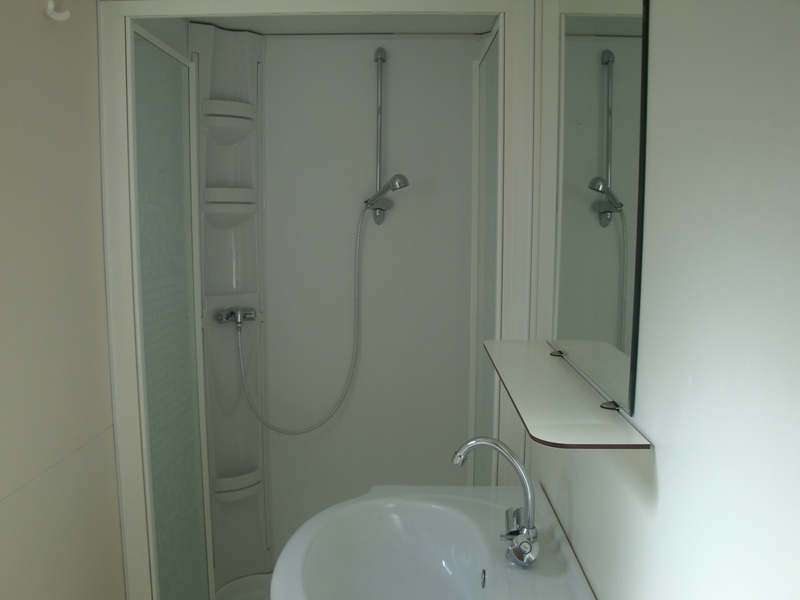 SERVICES AVAILABLE UPON PAYMENT OF FEES: Extra-weekly bed/bathroom linen change: € 10 per person per each set hired. Wi-Fi Internet available in common use. Excursions. Car hire service on site. Catering service. Extra apartment cleaning service: € 60,00. Beach service *. By booking the beach service together with the accommodation, the client will benefit from a 10% discount on the cost of such service. Given prior availability, the beach service may be also booked onsite, without any reduction in price whatsoever. Not provided: coffee maker, ashtray and anything else not included in the list supplied upon arrival. Smoking is prohibited within the accommodation.